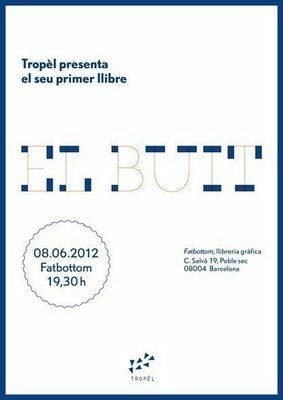 "El Buit" (The Void) means the debut of the group of Barcelona illustrators Tropèl. In this unique edition of 500 copies, each of the members of the group meditates on this polysemic concept and creating five motley stories of eight pages each. Self-publishing and a passion for books led them to a careful editing that takes into account every detail: Offset printing, sewed binding, diptych paperback covers.